HJ editor Ruth Hunsley and publishing director Jane Lewis-Orr with Trisha Buller at the Goldwell Summer Party. This month, Mercedes Benz hosted a fashion extravaganza at their world-famous Mercedes Benz World venue in Weybridge to celebrate 60 years of their exclusive Mercedes Benz club. KMS California was invited to style the hair for their spectacular fashion show, which was to be the highlight of the evening, and put together a talented team for the event. 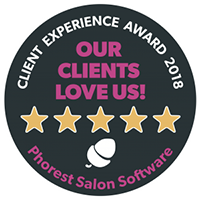 On Monday evening, employees of Cienté, Berkhamsted’s award winning salon, waited in nervous anticipation, not knowing what was in store for them. Suddenly, three chauffeur-driven luxury people carriers arrived, from Ash Travels of Berkhamsted. The Cienté people were separated into small groups and whisked away behind blackened windows to a secret location. Read More: Cienté. You’re Fired Up! Organisers of Berkhamsted’s ‘Pitch Perfect’ fundraising concert are delighted to announce that actor Adrian Scarborough - star of The Kings Speech, Gosford Park and most recently Upstairs, Downstairs - will host the event which takes place on Sunday 24th June. Trisha Buller and Paul Francis danced their way through to the Hospice of St Francis Strictly Learn Dancing Finals.